This thesis develops a methodology for a research-led practice-based design project informed by the traditions of action research and transformative learning. 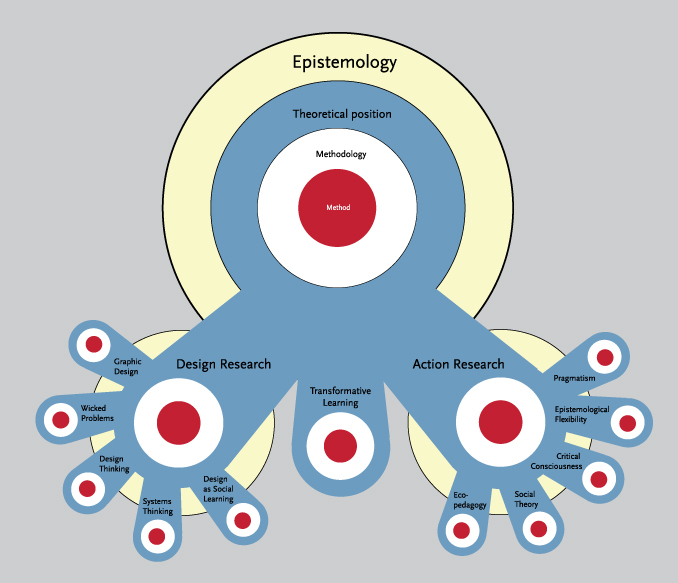 It aims to expand the scope of design research methodology towards one that is more critically informed on the nature of power relationships in research. These insights support the transition to a critical whole systems paradigm in design. 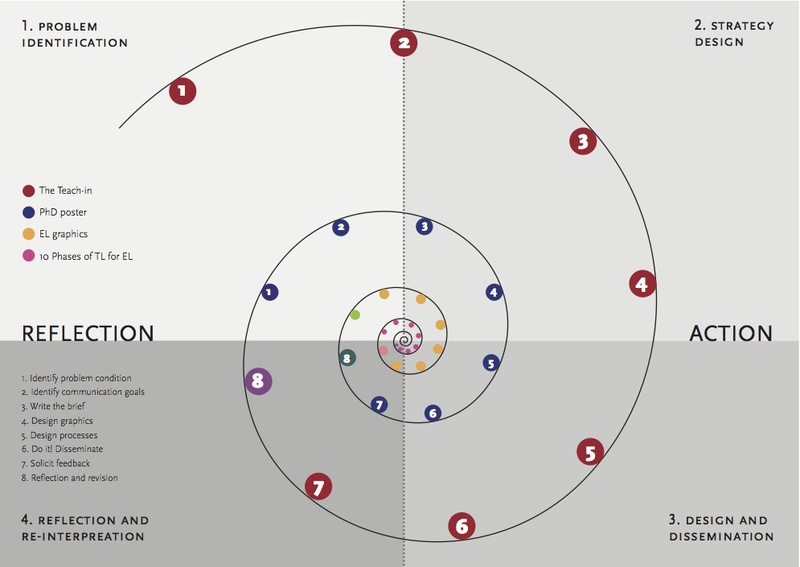 The methodology of the communication design practice in this thesis is a combination of approaches described in the previous three chapters: design research, action research and transformative learning (see Figures 7.1 & 7.6). This thesis uses graphic design in a speculative, rhetorical manner to facilitate transformative learning processes. The practice involves making new graphics and creating learning spaces and contexts in which these designs will be used. The results are thirty-three design deliverables which sit within four circles of action research that engage transformative learning. Chapter Seven can be downloaded here.